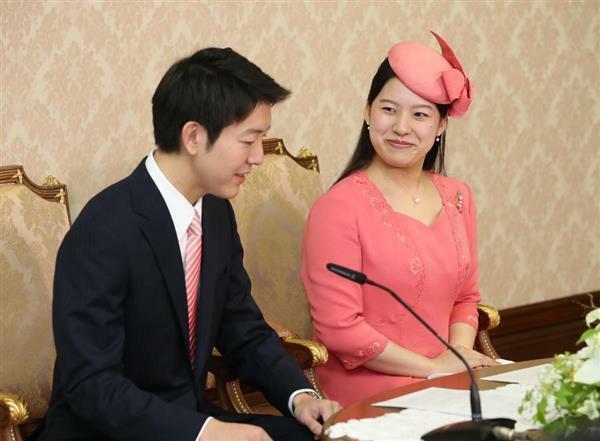 On 2nd July, Imperial Household Agency announced the engagement of HIH Princess Ayako of Takamado and Mr Kei Moriya. HIH Princess Hisako and HIH Princess Ayako of Takamado visited Imperial Residence to greet HM Empress Michiko. 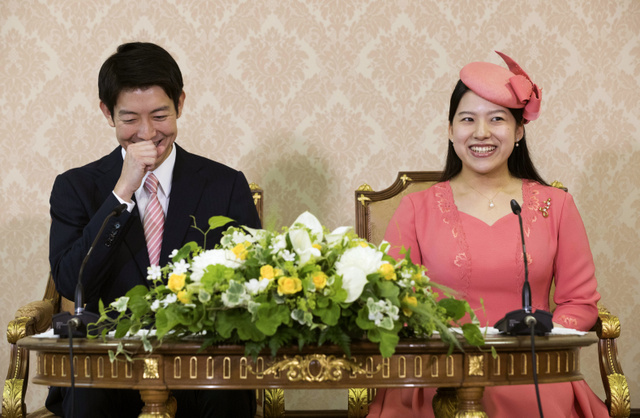 HIH Princess Ayako and Mr Moriya attended the Press Conference took place at Imperial Household Agency. 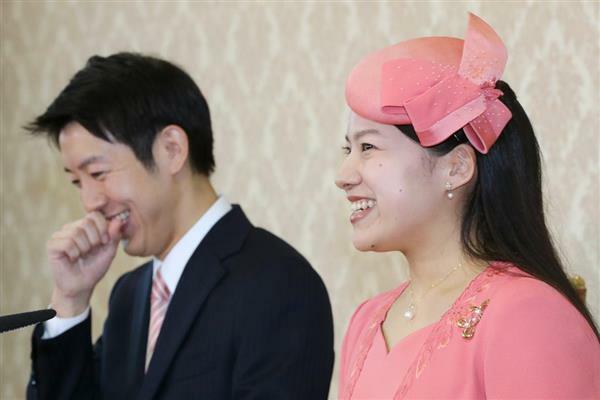 TOKYO – Princess Ayako, the youngest daughter of Emperor Akihito’s late cousin Prince Takamado, and Kei Moriya expressed delight at their upcoming engagement as they made their first public appearance together on Monday. The princess said she was attracted to Moriya for being a “kind, intelligent and decisive” man. Moriya, a 32-year-old employee at shipping firm Nippon Yusen K.K., described Princess Ayako as a “bright and positive person” who is friendly to anyone she interacts with. The couple is expected to formally get engaged in a traditional court ceremony on Aug. 12 before their wedding Oct. 29 at Tokyo’s Meiji Shrine. The two first met last December when they were introduced by the princess’ mother, Princess Hisako, the widow of Prince Takamado. She was hoping to interest her daughter in international welfare activities through meeting Moriya, who is a board member of a nonprofit organization supporting children in developing countries. Princess Ayako recalled how she enjoyed talking with Moriya when they first met, and that it did not feel like it was their first meeting. She said Moriya proposed to her after dining at a restaurant this year. 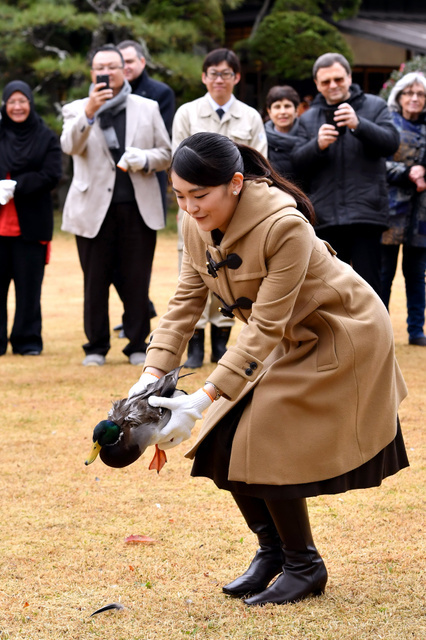 “I want to build a happy family full of smiles,” the princess said, while Moriya is seeking to build a relationship in which the two can continue to respect each other. 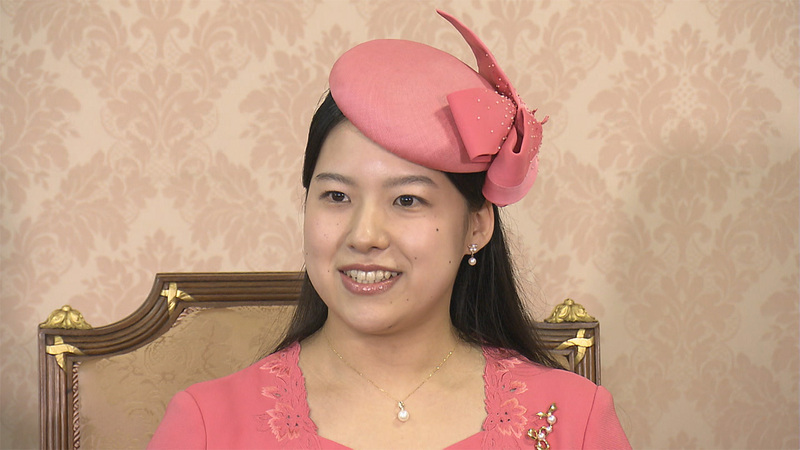 Princess Hisako has known Moriya’s father for 40 years since both were university students in Britain. 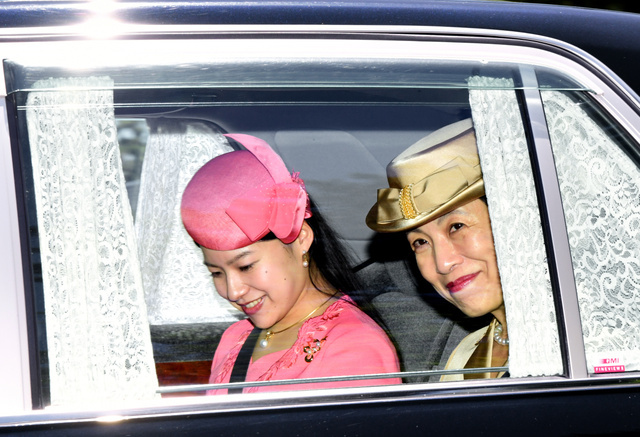 Moriya’s deceased mother was a senior director of the organization Kokkyo naki Kodomotachi (Children without Borders), and Princess Hisako attended many of its events. Princess Ayako graduated from Josai International University in Chiba Prefecture and earned a master’s degree there in 2016. She is currently working as a research fellow at the university’s Faculty of Social Work Studies. Moriya has an international background, having gone to kindergarten in Paris, and attended schools in Switzerland and Britain before graduating from Keio University. His hobbies include marathon and iron man races. Under the Imperial House Law, female members of the imperial family lose their royal family status when they marry a commoner. After Princess Ayako and Princess Mako marry, the number of imperial family members will drop to 17 and that of female members to 12. 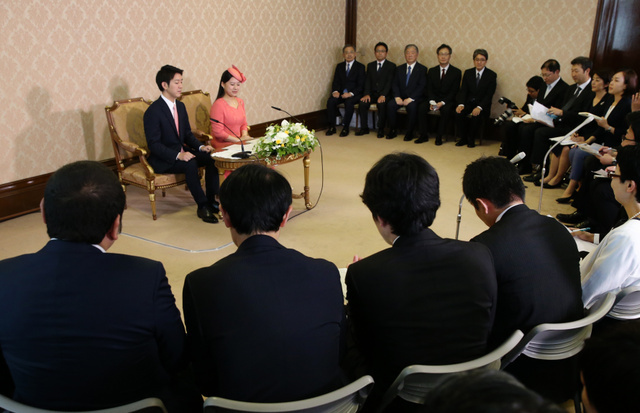 The government has also issued a statement of congratulations on the engagement but Chief Cabinet Secretary Yoshihide Suga noted the challenges associated with the shrinking number of imperial family members. “There are various views (on how to address the issue) and we need to consider them fully in order to gain national consensus,” he said at a press conference Monday. When the emperor’s abdication law was enacted in June last year, a resolution was added to it calling on the government to start deliberating succession issues, including an option to allow a princess to establish a branch of the imperial family after marrying a commoner. 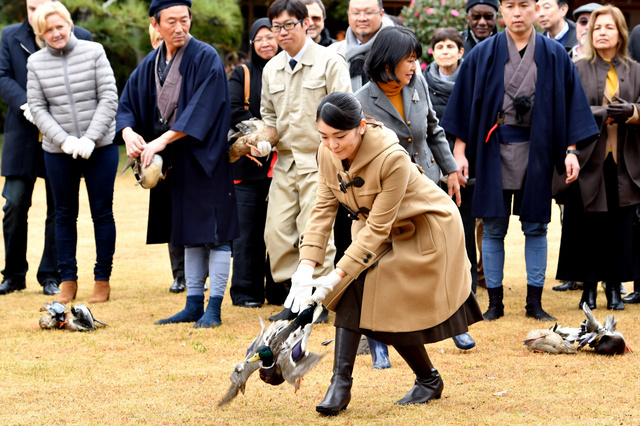 On 1st December, HIH Princess Mako of Akishino and HIH Princess Hisako of Takamdo enjoyed the duck netting as the reception for the diplomatic missions resident in Japan took place at Saitama Kamoba in Saitama Prefecture.